OLYMPIA, Wash.— Conservation groups filed a notice of intent today to sue the state of Washington for allowing highly destructive suction dredge mining in rivers and streams critical to endangered salmon and steelhead. 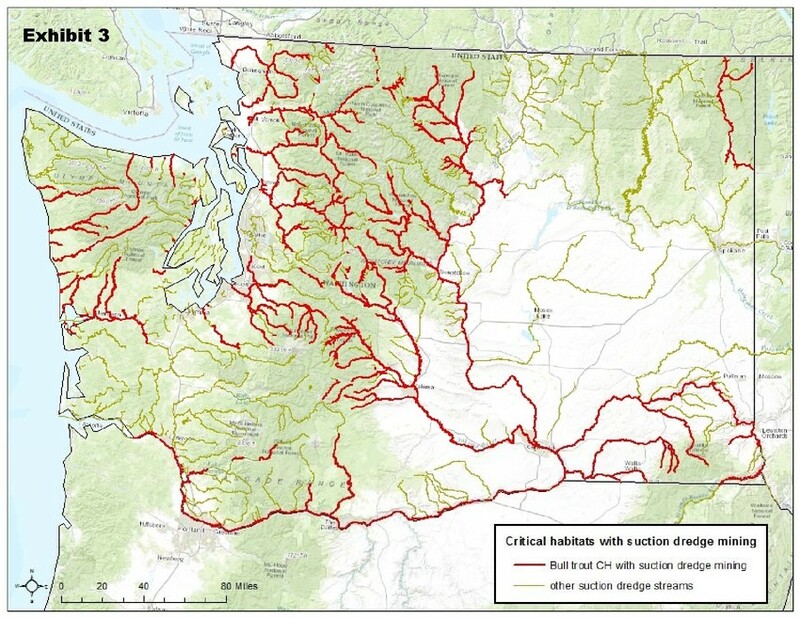 The Washington Department of Fish and Wildlife approves the harmful recreational gold-mining technique in rivers throughout the state that are home to numerous imperiled fish species. Conservation and fisheries groups have also introduced bills in the state legislature to better monitor and regulate suction dredge mining. The harm done by suction dredging is well documented by scientists and government agencies. In recent years Oregon and California have halted suction dredge mining for gold in areas that are important for rivers and fisheries because of its damage to water quality and wildlife. In Idaho the EPA has stepped in to regulate the practice. Today's notice, filed by the Center and Cascadia Wildlands, notifies Washington's Department of Fish and Wildlife and Department of Ecology of ongoing violations of the Endangered Species Act and Clean Water Act. While the state doesn't track individual mining locations, the majority of Washington's rivers and streams are open to mining. Because the state of Washington has never squared state laws regulating suction dredge mining with the Endangered Species Act or Clean Water Act, two bills were introduced in the state legislature this week to better monitor and regulate the activity. House Bill 1077, introduced by Rep. Joe Fitzgibbon (D-Seattle), would create important safeguards in environmentally sensitive areas to protect salmon and water quality. House Bill 1106, introduced by Rep. Gael Tarleton (D-Seattle), would require miners to comply with the Clean Water Act to reduce pollution when mining. Maps of suction dredge mining in endangered fish habitat courtesy Kara Clauser, Center for Biological Diversity. Maps are available for media use. Cascadia Wildlands educates, agitates, and inspires a movement to protect and restore Cascadia's wild ecosystems of old-growth forests, rivers full of wild salmon, wolves howling in the backcountry, and vibrant communities sustained by the unique landscapes of the Cascadia bioregion.